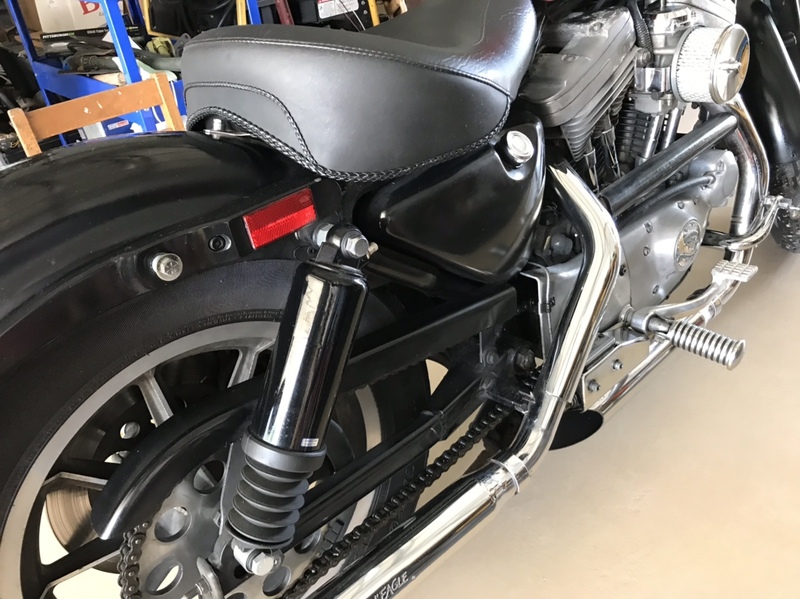 Solid struts (maybe) and coil spring seat question. I have a ‘90 and I bought a Mustang seat a few yrs ago (needed the width) and I was thinking of converting (using the existing seat) what I have now to coil springs and remove the air shocks 12” (if need be) for 11” solid mount struts. 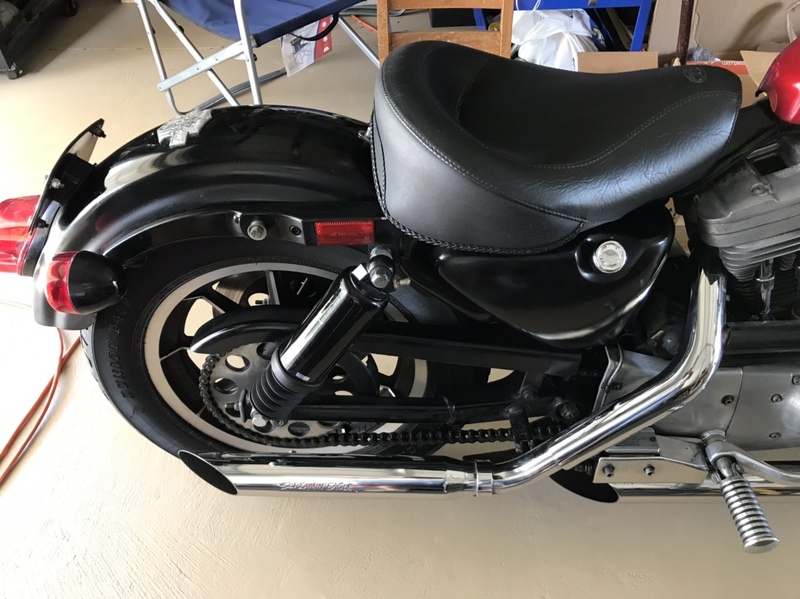 Anyone have a lead on a seat pan/conversion that will fit this seat etc. Haven’t been able to get to my PC yet to search; using Tapatalk for now. Anyway, here’s the bike, been working on the headlight etc today. 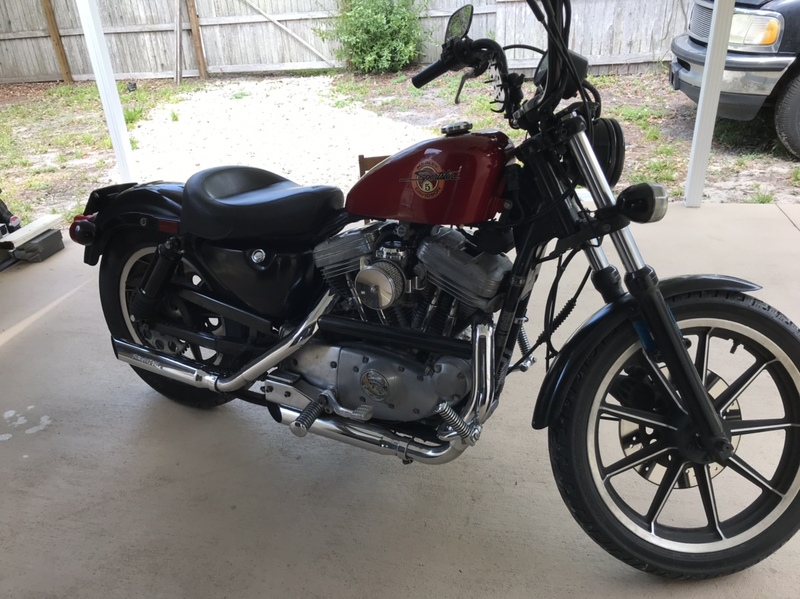 I do not think there are any conversion kits for your seat, however; there are plenty of "wide" springer solo seats, look here https://www.google.com/search?q=wide...ih=666#imgrc=_ take your pick, personally, I would keep the shocks with the sprung seat, the ride would be ultra smooth (my current set up), plus i think the struts could eventually break something on your bike from enough hard impacts, also with the sprung seat you will have to get a "kit" to install or fab a "kit". As Lone Rider has said, I don't think there is such a thing as a conversion for the Mustang Seat. Expect a harsh ride. I have a welded on hardtail with a spring seat and it is not enjoyable crossing train tracks, to say the least. If it is your only bike, I'd think twice. Ok sounds good thanks and thanks for the link.